This Sunday, President Trump's extraordinary legal strategy, his lawyers argue that a president cannot obstruct justice, can pardon who he wants, perhaps even himself, and can end any federal investigation if he chooses to. Mr. Trump claims this investigation is illegitimate. It's a witch hunt. That's all it is. There was no collusion with Russia. And his biggest defender has been Rudy Giuliani. They had spies in-in the Trump camp. This investigation never should've taken place in -in the first place. There was no collusion with the Russians. In a moment I'll ask Giuliani about that legal strategy, the circumstances surrounding the firing of F.B.I. Director James Comey and whether the president ever plans to sit down with Robert Mueller. Rudy Giuliani, my guest this morning on Meet the Press. Plus trade war, the U.S. announces steel and aluminum tariffs against Europe, Mexico and Canada. The allies strike back and President Trump calls out Canada's Justin Trudeau by name. The idea that we are somehow a national security threat to the United States is, quite frankly, insulting and unacceptable. This morning my exclusive sit-down with the prime minister, Justin Trudeau. And the culture war, Roseanne Barr, Samantha Bee and the debate over whether liberals and conservatives are treated differently when they cross the line. Joining me for insight and analysis are Wall Street Journal columnist Peggy Noonan, NBC News correspondent Katy Tur, Rich Lowry, editor of National Review and Joshua Johnson, host of 1A on NPR. Welcome to Sunday, it's Meet the Press. Good Sunday morning. We have two big interviews lined up today and we're going to get to them very quickly. Since becoming his lawyer, Rudy Giuliani has been a tireless defender of President Trump. This morning I'm going to ask Mr. Giuliani about the president's extraordinary and perhaps novel legal strategy that argues that the president's powers are essentially unlimited. It recalls President Nixon's infamous claim from the Frost/Nixon interviews that quote, "When the president does it that means that it is not illegal." So does this mean that no matter the president's motive for firing F.B.I. Director James Comey it was legal? And does this mean President Trump will never sit down with Special Counsel Robert Mueller under any circumstance? I also had an exclusive sit-down with Prime Minister Justin Trudeau of Canada after he responded to U.S. Tariffs on steel and aluminum with tariffs of his own. You're going to hear his thoughts on what he believes a trade war between neighboring allies could mean. This all comes after a week in which so much of what President Trump did or said was about him. The I alone can fix it president sought to fix nuclear tensions with North Korea by reviving a summit with Kim Jong-un. He sought to fix trade with those tariffs targeting Europe, Canada and Mexico. It's been a lousy deal for the United States from day one. President Trump is testing the limits of presidential power, picking economic winners and losers. The trade is going to be easy. Rewarding his political allies with pardons. Yeah, the president has the constitutional authority to do so. And conditioning the public on what he believes is criminal behavior. I suspect that we are on a path where there's going to be an inevitable clash. We're going to get a point where the justice department simply will not go any further. I don't know who gets fired or what happens. But we’re gonna be, you know, buckle up your seatbelts. I don't even want to use the term maximum pressure anymore because I don't want to use that term. Because we're getting along. --Mr. Trump rolled out steel and aluminum tariffs on some of America's closest allies. And attacked Canada by name on Twitter. We lose many, many, many billions of dollars with Canada. The policy of grievances is alienating some of America's long-time partners. What went wrong? Angela, what happened? What happened, Angela? Paris. I don't go there anymore. Paris is no longer Paris. Canada has treated us very, very unfairly. Mexico has been very difficult to deal with. He's the president of the United States. He has all the powers under article two. --Mr. Trump continues to be obsessed by Russia tweeting 19 times this week alone. Joining me now is the president's attorney, former New York City Mayor Rudy Giuliani. Mr. Giuliani, welcome back to Meet the Press, sir. Well, it's nice to be with you, Todd. How are you? Fair enough. But we won't do the last names, Giuliani, right? -- “It remains our position that the president's actions here by virtue of his position as the chief law enforcement officer could neither constitutionally nor legally constitute obstruction because that would amount him to obstructing himself. And that he could, if he wished, terminate the inquiry or even exercise his power to pardon if so desired.” As you heard me refer, it has echoes of Richard Nixon's infamous argument that he said that, "When the president does it, it is not illegal." Is that the argument here, sir? No, no, it isn't. You know, first of all, I didn't make the argument. But I agree with most of it as any lawyer. I probably would've organized it differently. I look at the obstruction part of the argument this way, he didn't obstruct. And we can win it on the facts. If you have, if a prosecutor is looking at an act such as, let's say, firing Comey and there are five explanations for it, four of which are innocent and the president has asserted each one of those positions. And one is obstructing the investigation, although he contradicted that and made clear he didn't in his interview with Lester Holt which is unfortunately seized on by the special counsel selectively. We don't have to get to the whole big constitutional argument which will take a year to resolve. So I would, I would prefer to put emphasis on the fact he didn't do anything wrong. I mean, he didn't obstruct. And we're, we’re willing to sit there and argue that out with the special counsel if he has, you know, an open mind about it. Are you making a case that he didn't obstruct or are you making a case that a president cannot obstruct justice? Well I don’t like, you know, I'm a lawyer. I'm sort of a conservative lawyer in a legal sense. And I don't like going to an argument we don't have to get to. You don't have to get to that argument. I can’t imagine, I mean, I don't know exactly how the court would, would resolve that. You never want to say he can't ever because you open too wide a flood gate. You might want to say he has very broad powers and somebody who wants to question that under article two has a big, big burden of showing that there is no innocent explanation for what he did. They just can't do that. So I would like to convince them to exercise some, you know, constitutional restraint here. All right, let me ask this because it's also from the statement. Let's unpack this again. You say that he could terminate the inquiry. Does this mean he can terminate any federal investigation? Is that, is that the argument here? Any federal investigation he can terminate. -- I mean, it would -- it could lead to impeachment it could lead to, I mean, if he terminated an investigation of himself it could lead to all sets of consequences. But constitutionally you're making the argument that you think constitutionally he could is what you're saying. I'm saying constitutionally it sure looks that way. I haven't made that argument. -- I want a, I want her investigated." He can order that tomorrow if he wanted to? Yeah. But let's look at, let’s look at for example, the IR- IRS investigations of conservatives during the Obama administration which never was fully investigated. I mean that, that, they had to cease that because the organizations went to court and showed they were being treated unfairly. So the president can't take away their personal constitutional rights. So the president said, "I want to--" like Nixon had an enemy's list. If he, if he called me up, I didn't work for Nixon. But if Nixon called me up and said, "Oh you've got to prosecute somebody on that enemy's list," boy, we would’ve, we would've had a very serious issue. The person would not be prosecuted and could've gotten the case dismissed. And that would have just been another part of the articles of impeachment. -- that the Justice Department, the justice system has no authority of holding the president accountable under the law? The Department of Justice is a creature of the president. I know based on presidential rulings, meaning the discretion of the president, Justice Department is given a certain amount of independence. I am tremendously in favor of that. But that's all the president's decision. Now the president is, however, constrained both by the Congress’s impeachment power and the court's ability to undo indictments or investigations that are unfair. I mean one of the possible remedies here is that this whole investigation may be totally illegitimate. That's certainly something we reserve the right to raise. And a judge could determine that. Case one. The one in D.C. Obviously they'll make the same motion in that one if the first judge decides they don't have the authority. You talk about the -- if you believe the president has sort of this overarching authority of the Justice Department, why are you asking the Justice Department to produce those papers to indicate how the investigation started? Why don't you order them to do it? That's a very good question, Chuck, and I'll tell you why. Because we don’t want the president -- first of all, when we say -- when John and Jay argue that the president has that power, we understand that if the president exercised it, number one, it would be challenged. So that's the legal opinion. It's not a court decision. And we realize it would -- the whole switch in public opinion that has been on the president's side would probably shift back. So we do not intend to exercise that power. And you make a very good case. The president could just say, "Give me those darn documents. You say the investigation is concluded. You say it produced no evidence for a criminal case. So then what the heck is this all about?" I've told everyone and will put that in a letter that we're not going to sit for an interview unless we get all of those documents and Jay and I and Jane and Marty can satisfy ourselves that that this is a legitimate investigation. or are you guys just have a little fun with Mueller? I will--I will tell you the straight, unvarnished truth which has remained true throughout no matter who the lawyer is. President wants to testify. I know a lot of people don't believe that. I know a lot of people think that's a position. It is a position. It's the true position. He believes he's innocent. I believe he's innocent. He believes that if he gets the chance to explain it people will understand no collusion with the Russians, no obstruction of justice. Forget his broad powers. -- my goodness, it's tough. --and that they'll conclude the investigation. Look, we're talking about this. We should be talking about North Korea. Do you realize yesterday I felt terrible calling the president? I had to call him twice. And I've got to take him away from North Korea. I told Pompeo on Friday, Secretary of State Pompeo that, "Please don't get angry at me. You know I'll only do it if I have to." Let me go back to the letter. There was also something else in this memo. And it had to do with the response of Donald Trump Jr. The letter says in the statement on July of '17, "You have received all of the notes, communications and testimony indicating that the president dictated a short but accurate response to the New York Times article on behalf of his son, Donald Trump Junior." This is in regards to the infamous first Trump Tower meeting in July of 2016. But this is what Jay Sekulow said to me on on Meet the Press about that incident. Here it is. Do want to be clear that the president was not involved in the drafting of the statement and did not issue the statement. It came from Donald Trump Jr. So that's that’s what I can tell you because that's what we know. In July he says it came from Donald Trump Junior. In January he writes in a memo that the president dictated a short response. I know it's not a crime to lie to us in the media. But was he, let me ask you this, was he misinformed at the time or or or what happened? I think it’s a case-- I obviously asked Jay about this. I think he was uninformed at the time just like I was when I came into the case. He was just in the case. This is a point that maybe wasn't clarified in terms of recollection and his understanding of it. And what Jay did was he immediately corrected it. And even if that had been under oath he would've called that recanting. And it's Jay, not the president. So that's the wisdom of not having a president testify. It's one thing to do it with it a lawyer. It's another thing to do it with your client. I want to talk about pardons in general. And one of the arguments in the memo is that the president could essentially end this with the power of pardon. Do you believe the president could also pardon himself? Then why put it in the memo? Why put it in a memo though if he isn't going to do it? Was it a threat? Is this a veiled threat to Mueller, "Hey, buddy, you push it too far. Look what we could do. We could end your probe." Well, you're not asking the guy who wrote the memo, right? So I'm not sure I would've written that, Chuck. I think it’s a hollow, it's sort of a hollow promise. Almost pra- impractical. You know he’s, the guy, the president of the United States pardoning himself would just be unthinkable. And it would lead to probably an immediate impeachment. You know you get your House, Senate would be under tremendous pressure. President Trump has no need to do that. He didn't do anything wrong. This is a terrible investigation. If Robert Mueller comes to you and says, "Okay, Mr. Giuliani, we're not going to have this argument whether the president should be able to be compelled to testify about his actions as president." But do you have-- can you make that same case if Mr. Mueller wants to just question his actions as a candidate? --the idea is you can't interfere with him either from in the form of an indictment or a question. You can’t interfere with the president's time, his effort, his concentration. --a potential crime or something that may have happened before he was president? Yeah. Once he's not president he can be prosecuted for it. He could be impeached for it. --but as he president he cannot. As president. I don't, I don’t again this is not, there’s no case, I don’t want to let you believe that there's a case that says this. This is what John wrote. That's the part of the opinion, I agree with about 80% of what he wrote. That's the part of it I agree with the most. Can't be indicted, can't be questioned because it interferes with the presidency. And we think we also have a very good argument in a practical sense. This isn't just theoretical. He's not sitting up there playing tiddlywinks. He's involved in four or five unbelievably historic negotiations right now. Final subject that I want to get at you, we're at some point going to get this IG report out of the Justice Department about the F.B.I. It's handling of the 2016 election overall, the Clinton emails and all of this. There's been some questions about what you may or may not have known around that time. And I'm going to go through a timeline here of what you said around that time when we found out about the reopening of the Comey investigation. Take a listen, sir. Did Donald Trump plan anything except for a series of inspiring rallies? You'll see. I'm talking about some pretty big surprise. Yeah, I heard you say that this morning. What do you mean? It appears as though the F.B.I. may be reopening an investigation into the Hillary Clinton email server. So you had a general idea that something was coming. I had expected this, honestly, to tell you the truth, I thought it was going to be about three, four weeks ago. Do you expect to be named in this IG report as a receiver of leaked information from the F.B.I.? Oh no, no, absolutely not. I-I-I- No. Impossible. I didn't get any leaked information from the F.B.I. No, no, no. Absolutely not. You told a radio show host that you had gotten some heads up from both current and former. No. All, all, all current guys working. But not necessarily with the F.B.I. I work-- I do security work all over the world and I use F.B.I. agents. And I consider them current people. People haven't retired yet. And then I have retired people. So the fact is we had all, our little kitchen cabinet, had all speculated that Mueller did a horrible job which is what I think the focus of the Horowitz report's going to be. Did a horrible job with the Hillary investigation. I assume you're referring to Comey not Mueller. You said Mueller. I assume you mean Comey. I'm sorry. Oh boy. Yeah, please. I mean, I mean Comey. That Comey did a terrible job with that. That he cleared her and condemned her at the same time. Were you questioned by the IG? --with a speech I was writing. -nothing to do with being given a heads up or a potential heads up. Right, mo heads up. I had a speculation. I also had a speculation, believe it or not, when he reopened it. I told the president, "Don't praise him because there's something wrong with him. He used to work for me. Great guy. But there's something wrong with him now. He's become some kind of a crazy Machiavellian politician. And he's going to pull this back." And lo and behold a week later he pulled it back. Now I didn't have word he was going to do that. But, look, I've been in this business for 40 years. And like you do, you develop instincts. Okay. Mr. Giuliani, I will leave it there. Thanks for coming on and sharing your views here. I much appreciate it. Oh very fair, Chuck. Thank you. When we come back we're going to get to the Mueller investigation with the panel and the on-again, off-again, on-again, off-again summit with North Korea is back on again. Complete with a very big envelope. Stay with us. We are back. Panelists here, Joshua Johnson host of 1A on NPR, Wall Street Journal columnist Peggy Noonan, NBC News correspondent Katy Tur and Rich Lowry, editor of National Review. Okay, digesting the - Rudy Giuliani and his interpretation of the memo. Katy Tur, you've spent a lot more with Rudy Giuliani and Donald Trump than any of us at this table over the last couple of years. What do you make of this? I actually thought it was revealing. Interesting, one, that he threw Dowd and Sekulow under the bus in terms of that letter. But I think he made a point where he said this is all about public opinion. If Donald Trump tries to pardon himself then he will get impeached. If he tries to fire Mueller or stop the investigation then he will get impeached. So I think it's very clear what they're doing is they're allowing the president to spout off on Twitter. Giuliani will come in here, say one thing, he'll probably change his mind and say another thing to another news organization later today if not tomorrow. They're trying to confuse things. They've got two strategies here, 1) to discredit everybody involved and 2) if that does not work then to just confuse things so much that the public doesn't really know where up - where up is or where down is. So when the report ultimately comes out they have an ability to push back and say this was all a big witch hunt, no one really gets it. Republican voters look what we're doing. Ignore all this. We're making a deal with North Korea. Whatever. Stay on our side. Republicans in Congress stay on our side. That's the only real defense they have at this point. I think the core condition in that memo is correct. I do not believe a president of the United States can commit obstruction of justice and exercise his lawful powers. He can abuse his lawful powers. But that's a proper subject for an impeachment inquiry and process not a criminal investigation and I think it's really a perversion of our constitutional system that you have an inferior officer in the executive branch who wants to question the President of the United States about his state of mind when he undertook and exercised his lawful powers. I'm not sure we've ever encountered that before. And I think it's right to resist it from the President's personal interests but also for the good of the institution. Look, I know the first thing I thought of when I heard this, Peggy, was of Frost/Nixon. So I thought for the viewers let me play the infamous excerpt from Frost/Nixon. So within a sense you are saying is that there are certain situations and the Houston plan or that part of it was one of them where the president can decide that it's in the best interest in the nation or something and do something illegal? Rudy Giuliani was making a lot of arguments that was like, "Look he could do this. He could do this. He could do this." Now public opinion and Congress would stop him but. What did you make of this? By the way, I thought it that way too. I thought it was telling that even Rudy wasn't quite willing to accept my use of the word threat but he didn't seem to push back on it that hard, Joshua. He didn't push back on it that hard. And I feel like there was one little piece of that interview that was instructive to me that was useful. I understand what Giuliani's trying to say. He's trying to say the president does have these powers. He could do these things because he's the chief law enforcement officer of the United States. He won't and he didn't and he's done nothing wrong. He's innocent. He's trying to do his job. Let him work. If they could hue to that consistently this might calm down a little bit. It wouldn't be quite so far all over the place. Like I heard the seed of a legal strategy. I also took Mr. Giuliani seriously when he understood the role of the court of public opinion in this. I mean, the fact that impeachment was his core argument in terms of what could happen in Donald Trump losing his job is true. I mean if they can make the legal argument strongly that, hey, he was doing his job. He might be a bad president but being a bad president is not a crime if you don't like what he does. It becomes a matter of the court of public opinion. So I think if he can convince the president to stick to that, to just say, "I'm not innocent, I have a job to do. If I'm going to testify let's make this quick," then he will sail through a little bit more smoothly than saying, "I'm innocent. I want to testify." If he could pull it a little closer in that direction he might have a workable strategy. I want to ask about pardons and specifically the Dinesh D'Souza pardon this week. Look, we've had Joe Arpaio, Scooter Libby, Dinesh D'Souza and then he hinted about Martha Stewart and Rod Blagojevich. And look at the crimes that they were convicted of, criminal contempt, obstruction of justice and perjury, campaign finance violations, lying to investigators, corruptions. All of the potential charges that Mike Flynn may face, Donald Trump Junior could face, Roger Stone could face. Rich, a coincidence? Well, I think the Arpaio pardon was grotesque. But I think the couple pardons we've seen last couple weeks plus the ones he's talking about clearly are meant to send the message that prosecutors can go too far, they can be political. And there's also an element here where he’s clearly - he wants to get under the skin and troll a particular set of prosecutors he doesn't look which is an unprecedented use of the pardon power obviously. Who don't watch cable news every single day. Totally. And I don't think you need to ask our opinions of this. Look at Donald Trump's longest and arguably one of his closest friends and advisors, Roger Stone said, "This is a very clear message to Robert Mueller that if you indict anybody not having to do with collusion that there- that is not appropriate and the president will pardon." I liked the pardon of Joe Johnston the prize fighter. I don't think you were alone in that. Otherwise it inescapably looks these pardons both political and life is political. But also a little frivolous. There are deeper cases and more important cases. The pardon power which is real and ought to be real ought to be used on - as matters of serious compassion for people who need it is how it strikes me. I think for that reason the pardon of Jack Johnson, I looked at that and I thought, "Well, aren't there living people who need more of this power?" I mean think about how many presidential pardons before now you even knew about. And the fact that Joe Arpaio was the very first pardon he gave last August over something that was so contentious about best, grotesque at worst, it's a fundamental shift. There are living people who need help and people who can't afford their own legal counsel. All right, guys, God, there's been so much that happened this week and a lot to get to. I have to sneak a break in. When we come back tariffs, trade war, the economy, my exclusive interview with Prime Minister Justin Trudeau of Canada. You said you're going to retaliate. How serious are you are and do you really think you can make a dent? Welcome back, as we mentioned earlier the U.S. this week imposed tariffs on steel and aluminum for Mexico, the European Union and Canada. All three retaliated by announcing tariffs of their own. But it was Canadian Prime Minister Justin Trudeau who was called out personally by President Trump. And on Friday I traveled to Ottawa, Canada to speak to Mr. Trudeau. The prime minister is hosting this week's G7 economic summit which means he's going to have some one-on-one face time with President Trump in a couple of days. So I began by asking him about President Trump's tough words on the new tariffs and the ongoing renegotiations on the fate of NAFTA. JUSTIN TRUDEAU:I think, I think our approach has been consistent all the way through, recognizing that Canadaand the United States have perhaps the most successful economic partnership and alliance andfriendship in the history of the modern world. There are no two countries that are as interconnected, interdependent. You sell more things to us every year than to UK, Japan, and China combined. We -- Our economies are, are incredibly interwoven, and there is an absolute path towards improving NAFTA and doing well on that. The fact that the president has moved forward with these tariffs is not just going to hurt Canadian jobs. It's going to hurt US jobs as well, and neither of those things is something that Canada wants to see. CHUCK TODD:Your reaction felt as if you felt jilted, as if you felt like Canada got, like, "Wait a minute. We've done all these things for the United States over the years, and this is how you treat us?" You felt, it came across as if you felt as if, you felt as if Canada was being taken advantage of. JUSTIN TRUDEAU:Obviously, we've, we’ve you know watched this president operate and worked with him over the past year. And we know that he prides himself on being unpredictable from time to time. So that's not really the crux of it. One of the things that I have to admit I'm having a lot of trouble getting around is the idea that this entire thing is coming about because the president and the administration have decided that Canada and Canadian steel and aluminum is a national security threat to the United States. Now, first of all, the-the-the idea that, you know, our soldiers who had fought and died together on the beaches of World War II, on the-- and the mountains of Afghanistan and have stood shoulder-to-shoulder in some of the most difficult places in the world, that are always there for each other, somehow-- this is insulting to that. The idea that the Canadian steel that's in military, military vehicles in the United States, the Canadian aluminum that makes your, your fighter jets is somehow now a threat. What do you feel as if the president wants from you in putting these tariffs up? JUSTIN TRUDEAU:I don't know.CHUCK TODD:You don't know what he wants here.JUSTIN TRUDEAU:I knowCHUCK TODD:You don’t know is this about, is this about—JUSTIN TRUDEAU:I know, I knowCHUCK TODD:-- a NAFTA decision.JUSTIN TRUDEAU:Well he –CHUCK TODD:You don't have an idea of what he wants.JUSTIN TRUDEAU:The reason I don't know is because he’s talked about the fact of this, he’s worried about trade surpluses, trade deficits around the world. Well, they have a 2 billion dollar surplus on steel with us. So it's not like the-the-the trade is imbalanced against the U.S. favor on this one. CHUCK TODD:You said you're going to retaliate. How serious you are, and do you really think you can make a dent? Look, the American economy's a lot larger than—how, how can you do this retaliation without hurting Canada more than the United States? JUSTIN TRUDEAU:Well, we’ve put forward, first of all, we're putting the same kinds of tariffs exactly on steel and aluminum coming from the United States into Canada to be directly reciprocal. But we're also putting a number of tariffs on consumer goods, finished products for which Canadians have easy alternatives. One of this -- either made in Canada or made from another partner with no tariffs. One of the truths about tariffs is they drive up costs for consumers. And on top of that, these tariffs are going to be hurting American workers and Canadian workers. CHUCK TODD:Let me go to NAFTA, do you understand what the United States wants in this renegotiation? JUSTIN TRUDEAU:I think they want a better deal on their auto sector from Mexico, and I think they want more access oncertain agriculture products like dairy to Canada. CHUCK TODD:Are you willing to give them that? JUSTIN TRUDEAU:We--We're moving towards, you know, flexibility in those areas that I thought was very, very promising. But the United States want a sunset clause in NAFTA, which makes no sense. You don't sign a trade deal that automatically expires every five years. CHUCK TODD:That's a non-starter for you? JUSTIN TRUDEAU:That's a non-start-- well, you think about-- CHUCK TODD:You won't be at the table if that's on the table? JUSTIN TRUDEAU:No.CHUCK TODD:OkayJUSTIN TRUDEAU:You can think about investment. What company is going to want to invest in Canada if, five years later, there might not be a trade deal with the United States. And that, quite frankly, is probably part of the whole point of the United States to say, "Well no, we don't want anyone investing in our NAFTA partners. We want people investing in us." But that's not the way trade works. And, quite frankly, having, for example, an auto sector that spans from you know Southern Ontario into Michigan is-- has been really an advantage for the aut-- North American auto sector to be able to have complementarity here. CHUCK TODD:You, I'm sure, probably read with amusement that, at a fundraiser, President Trump bragged about a back and forth he had with you. Let me quote him. He says, "Trudeau came to see me. He said, 'No, no, no. We have no trade deficit with you. We have none. Donald, please.' I said, 'Wrong, Justin. You do.'" And then, he admits, "I didn't even know. I had no idea. I just said, 'You're wrong.'" He apparently also mimicked your voice when doing it. Let me ask you this. When you read something like this, and you don’t even, can't even agree on the same set of facts, do you trust -- do you trust the president as a negotiator? JUSTIN TRUDEAU:You've mentioned that my father was prime minister. I was raised in a political family. I understand how, you know, people say things and people tell stories and people approach things. My approach with this president, from the very beginning, has been, "I'm going to focus on what we do and where we go." And, quite frankly, a year ago, when I talked with the president about, about the possibility of two-three-two tariffs on steel and aluminum, he agreed that it would be insulting to consider Canada as part of the, part of the national security concern. So, for me, that really doesn't make sense. 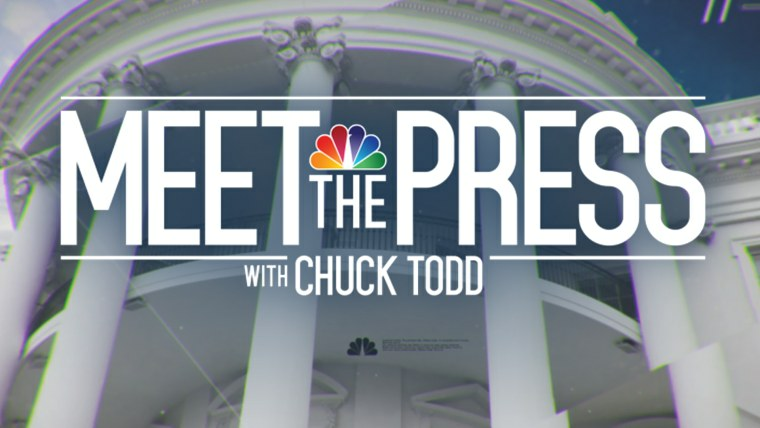 CHUCK TODD:I want to ask you one final question. There's a new book out by a long-time aide of former President Obama, Ben Rhodes. And he writes this in the book. He said, "Obama, not usually an outwardly sentimental man, attempted to pass a torch of sorts." Referring, and he refers to a meeting that he had with you. "Justin, your voice is going to be needed more," he said, leaning forward and putting his elbows on his knees. "You're going to have to speak out when certain values are threatened." You brought this up a little bit, that you feel as if you're going to step up and certain ways. What did you interpret what President Obama was, was trying to pass to you? JUSTIN TRUDEAU:What I took from it was something that was deeply reassuring and something I've seen all around the world where Canadians are -- people recognize that Canadians, when we show up either as, you know, troops on the ground in a peace-keeping mission or as aid workers or as bureaucrats trying to rebuild an economy or help a multilateral institution, Canadians are there to help. We are thoughtful. We are engaged. We are polite. We are welcoming. But we're also firm about our values. We fought like lions on the beaches of World War II and the trenches of World War I. We step up when we need to. We're going to be polite. But we’re also not going to be pushed around. And that need to be firm about projecting our values and defending not just our citizens, but citizens around the world in positive ways is what I consider the responsibility we have as Canadians and what I'll do as leader. As you might expect there's a lot more to my interview with the prime minister. And you can see the full interview Prime Minister Trudeau on our website MeetThePress.com. When we come back too much of a good thing? Could Democrats actually get shut out of races that they should and need to win to take back the house because they simply have too many candidates running. That's next. Welcome back -- Data Download time. California Democrats were hoping for a gold rush in this Tuesday's primary, taking full advantage of the state's unique top two system where the top two vote-getters – regardless of party – move onto the general election. They want to shut Republicans out of every state-wide race, particularly governor and Senate, and they're hoping as well to take advantage of competitive House seats. But Republicans are determined to get candidates to advance into the top two so they can go up against Democrats like Gavin Newsom for governor and Dianne Feinstein for Senate. And then there's the House, well, that's getting complicated. The Golden State has consistently elected Democrat senators and voted for Democrats and for president in every election since 1992. And out of 53 House districts in California, Republicans only hold 14 seats. Our friends at the Cook Political Report rate nine of those 14 GOP seats as competitive with prime pickup opportunities for Democrats particularly in the 39th, 48th and 49th Congressional districts, all in Southern California. Democrats may feel they are gearing up to wipe Republicans off the California map, but they may not get their Hollywood ending because of this unique top two system. Democrats have flooded the races in those 14 remaining GOP seats. There are 56 Democrats running in the primaries across those 14 races compared to just 38 Republicans. That means Democrats run the risk of splitting their votes so that none of their candidates actually finish first or second. It's also become the twilight zone where Democratic groups find themselves propping up gadfly Republicans while attacking members of their own party all in the hopes that Republicans somehow split their vote more and Democrats unite behind one or two candidates. Talk about your crazy game theories. Anyway, getting shut out of winnable races would obviously be a full-on disaster for Democrats who are counting on California to provide a bulk of those 23 seats they need to win back the House. Democrats hoped this top-two system could shut Republicans out big time on key races across deep blue California. Perhaps it's evidence that the top system is not leaving Democrats in as strong of a position as they would've hoped this year. By the way, Republicans aren't exactly cheering this top two system either these days. When we come back End Game: culture wars and this question, are liberals and conservatives treated differently when they cross the proverbial line? Back now with end game. And joining us for this segment is Ben Rhodes. Ben was President Obama's deputy national security advisor. And he's just written a new book The World As It Is, a memoir of the Obama White House. And we're also pleased to announce that Ben is going to be joining NBC News and MSNBC as a political and national security contributor. Ben, welcome to NBC and welcome to Meet the Press. Or welcome back to Meet the Press. This was a week where the culture wars popped up yet again between the Roseanne situation, the Samantha Bee situation. And of course race is intertwined in all of this, and I want to pull up the first excerpt of your book I want to talk about is this, you write, "Racism was a constant presence and absence in the Obama White House. We didn't talk about it much. We didn't need to. It was always there everywhere like white noise. It was there when a New York reality show star built an entire political brand on the idea that Obama wasn't born in the United States, an idea that was covered as national news for months and is still believed by a majority of Republicans." What point were you trying to make with this? Well, people would often ask me what did President Obama really think about race? And the point I was making there is that he took it as a given that some of the opposition to him was rooted racism. And that's what I mean by we didn't always have to talk about it. We would practice for press conferences with you, Chuck, and say, "Well, you might be asked is some of this opposition rooted in race?" And he'd say, "Yes, next question," and kind of chuckle. But something more serious was underlying that which is that I think he'd internalize kind of a Jackie Robinson ethos which is I accept this, I accept that there's going to be more scrutiny. I accept that there's going to be an element of race in some of the opposition I face. But I'm just going to try to perform the duties of this office with as much integrity as I can. Does President Obama believe -- it seems that you're implying here and I remember asking him this question and he says, "Ask me after I'm out of office," that his election is how Donald Trump got elected. Well, there's so many causal links you could draw to the Trump election. I think what I talk about at the end of the book and in some of the excerpts that you have run, including one you had with Trudeau is we were on that last final foreign trip where he saw Justin Trudeau. And he had gone through many different iterations of trying to figure out what happened in the election, how much of it was Russia, how much of it was the campaign that had been run on the Democratic side, how much of it was Trump's message. But part of it was the sense that the world as a whole had globalized very rapidly. And we're meeting with Angela Merkel who's kind of a leader of the international order who welcomed in all of these Syrian refugees. She's all alone. She had a tear in her eye the last time she saw Obama. Trudeau feeling somewhat stranded here in North America. And I think what he was getting at is, like, not just race or his own presidency. But the rapidity at which trade and the freedom movement of peoples had made some people uneasy, that that dynamic in the Brexit election in the U.K. and in the election here had something to do with Trump being able to find this politics of grievance that could lead people to the polls. I want to bring everybody else into this conversation. This spark of the culture wars with Roseanne and Sam Bee, is this about our inability to deal with race in this country? That's what the left sort of sees it at, Joshua. Or is this about a double standard in that we sort of hold folks on the right more accountable with their bad taste than we will on the left. Well, the comments that Samantha Bee and Roseanne made were not equivalent. Roseanne Barr made a racist slur. Samantha Bee made a cruel, misogynist joke and not even a very good one. If you have to end the joke with an insult it means you couldn't think of a good punch line. So she just needs to be a better writer next time. But they weren't equivalent comments. I am more concerned about the fact that the same cultural current that gave Roseanne Barr cover to tweet this and Samantha Bee cover to broadcast this is the one that gave Stephen Colbert the cover to say that the only thing that Donald Trump's mouth is good for was being Vladimir Putin's you know what holster, I mean, it's the exact same current that the Russians exploited to influence the 2016 election. It's our hate. It's our misgiving. It's our fear. The fault is not in our TV stars but in ourselves. And that's where the problem is. We have the power to change this. That doesn't excuse what Roseanne said. It doesn't excuse what Samantha Bee broadcasted. But they broadcast it to us and we reward them for it. So who do we really blame? Where is the root of this really? I don't think it's there. I think it's here. I would think, look, part of the problem is public figures having a hard time being public figures. When you are lucky enough in America to be a public figure your celebrity is not only your pleasure it is your responsibility. What is that responsibility? Don't make it worse. Don't make it ugly or don't make it sicker. Samantha Bee doesn't seem to understand that responsibility. Roseanne didn't understand it. I am very glad to see a certain amount of backlash against them almost as if the American people are saying, "Stop it already. This is terrible. You're making it worse." And getting too loud. It's this corseting that we've seen before Donald Trump started campaigning but certainly that we've seen exaggerated since Donald Trump started campaigning, and all of the insults that he would throw out. I do think what's unfortunate here is that the Samantha Bee controversy, it's now overshadowing what is the story that she was trying to bring attention to which is a story that families are being ripped apart at the border. That this administration is claiming there's a new law when it's just a policy and they are taking families apart even when families are coming in, according to reporters, asking for asylum. That is a real issue that is not being covered because we're all talking about Samantha Bee using a word that she should not have used. It wasn't just a word. It was an obscene personal attack. Obscene. And personal and attack. And that did obscure her point. But that also showed maybe she wasn't serious about it. I don't think Samantha Bee and Roseanne are really comparable. I think some people are saying Trump enabled Roseanne Barr. She has been a kook for 20 years. And her Twitter timeline has been grotesque for ten years or however long she's been on Twitter. But Samantha Bee was hired to be a partisan vulgarian. And underlying something Peggy said, my friend, Yuval Levin, at National Affairs makes a point the problem with our institutions, no one considers themselves an insider anymore, has responsibility for being better and being a good steward. Everyone considers themselves an outsider. And last word here, you recall President Obama saying we're ten to 20 years too soon? Maureen Dowd was like, "Oh we're not ready for you." What he was talking about was the demographics of the country. And what he would like to say, what he used to say in private is there's going to be an Asian Barack Obama and a Latino Barack Obama. But the demographics, he kind of arrived before the demographic tipping point. But part of this is the media ecosystem though. Because, as I say in there, a majority of Republicans don't think he was born in America. That's (illegible) consuming. The book, The World As It Is, Ben Rhodes, good luck with it. That's all we have for today. Thanks for watching. As always, if it's Sunday, it's Meet the Press.